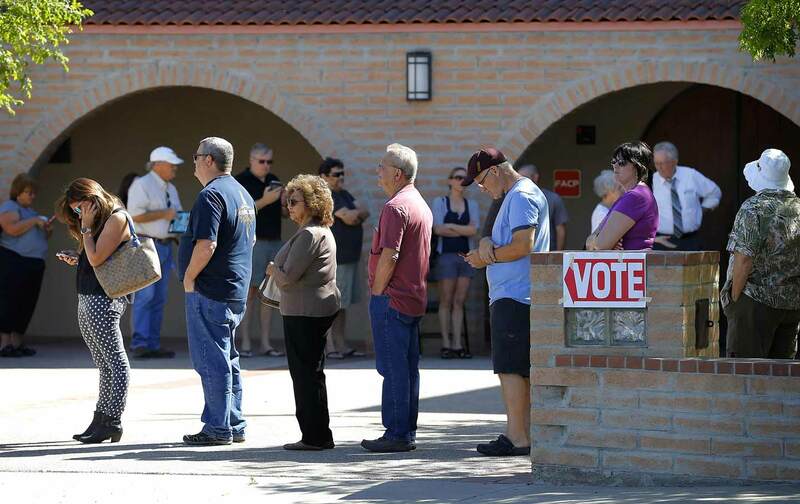 The lines were so long because Republican election officials in Phoenix’s Maricopa County, the largest in the state, reduced the number of polling places by 70 percent from 2012 to 2016, from 200 to just 60—one polling place per 21,000 registered voters. 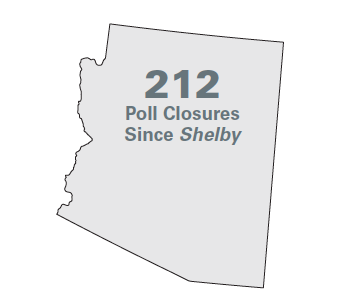 Previously, Maricopa County would have needed federal approval to reduce the number of polling sites, because Arizona was one of 16 states where jurisdictions with a long history of discrimination had to submit their voting changes under Section 5 of the Voting Rights Act. This part of the VRA blocked 3,000 discriminatory voting changes from 1965 to 2013. That changed when the Supreme Court gutted the law in the June 2013 Shelby County v. Holder decision. While new statewide voting restrictions like voter-ID laws and cuts to early voting in places like Texas and North Carolina have received national attention, the polling place closures could have as big of an impact in 2016—the first presidential election in 50 years without the full protections of the VRA. Many of these counties have been hot spots for voting discrimination. Cochise County, on the Mexico border, which is 30 percent Latino, was sued by the Justice Department in 2006 failing to print election materials in Spanish or have Spanish-speaking poll workers, in violation of the VRA. 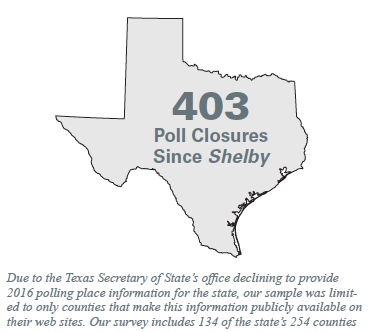 Today, the county “is the nation’s biggest closer by percentage,” having shuttered 63 percent of its voting locations since Shelby. There will be only 18 polling places for 130,000 residents in 2016, down from 49 polling places in 2012. In June 2013, Percy Bland was elected as the first black mayor of Meridian, Mississippi, where the Ku Klux Klan abducted the civil rights workers James Chaney, Andrew Goodman, and Mickey Schwerner during Freedom Summer in 1964. A month after Bland’s election the Supreme Court gutted the VRA, and in 2015 the majority-white board of elections in Lauderdale County closed seven polling places over objections from the mayor. That included eliminating a polling place at the historic Mt. Olive Baptist Church, a major site during the civil-rights movement, as the place where the singer Pete Seeger announced that the bodies of Chaney, Goodman, and Schwerner had been discovered after they were missing for 44 days. “In an effort to honor the legacy of those who paid the ultimate sacrifice in order that we enjoy our civil rights, we proudly offer our historic facilities [as a polling site],” said church spokesman Ronald Turner. “Things have changed dramatically” in the South, Chief Justice John Roberts wrote in the Shelby decision. “The tests and devices that blocked ballot access have been forbidden nationwide for over 40 years.” But as we’re seeing clearly in 2016, the states previously covered by the VRA keep finding new ways to undermine the right to vote.